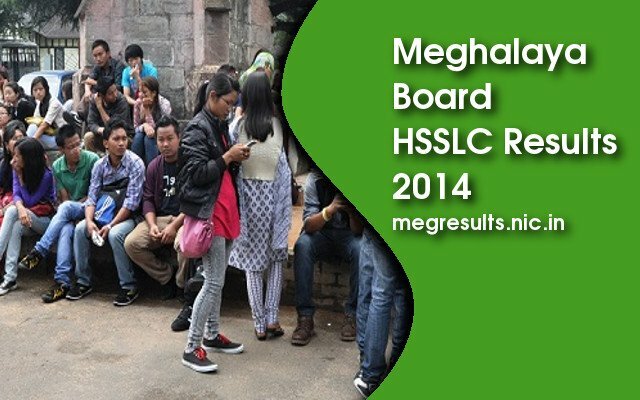 MBOSE (Meghalaya Board of School Education) Released the results of HSSLC 2014 Exam conducted on March 2014. The Science, Commerce, Vocational Stream results are now available on the official Website of MBOSE. Students can view their results on the website by entering their roll number on the results website. The results for the Science and Commerce stream can be accessed by SMS. While earlier the Result Booklets were sold, they will now be available online to download from the official MBOSE website apart from being available to all heads of affiliated institutions and officers in charge of the examination from the MBOSE office. The HSSLC 2014 Exam was conducted from March 4, 2014 to March 21, 2014 with a total of 13 exam dates. The question papers given in the HSSLC 2014 examination are also available online for download. The HSSLC 2013 exam results were declared on May 3, 2013 for Science, Commerce and Vocational streams while the Arts stream results were declared on May 23, 2013. The topper of Science stream secured 455 marks, the topper of Commerce stream secured 453 marks and the topper of Arts stream secured 432 marks.